Joe Fowler and Jacqueline Campbell obtained a defense verdict in a three-week trial in Philadelphia County. The Plaintiff sustained significant and permanent injuries after a tractor that he hot-wired ran over his foot. He alleged a crush injury to his foot, Complex Regional Pain Syndrome, and an injury to his neck that required a cervical fusion. The crush injury and Complex Regional Pain Syndrome were not disputed. Plaintiff claimed for future economic loss in the range of $3.8 to $4.5 million dollars. The case proceeded against multiple defendants on claims of negligence, product liability, and breach of warranty. Plaintiff claimed that he was not able to start an agricultural tractor with a key; therefore, he left the operator’s seat and hot-wired the tractor by touching a wire to one of the terminals on the solenoid starter. After the engine started, the tractor ran over Plaintiff’s left foot and travelled approximately 100 feet before someone was able to jump onto the tractor and turn it off. Plaintiff could not recall if the gears were in neutral before he hot-wired the tractor. Plaintiff suffered a crush injury to his left foot that required several surgeries. He later developed Complex Regional Pain Syndrome (CRPS), also known as Reflex Sympathetic Dystrophy (RSD). Plaintiff’s experts recommended a below knee amputation to alleviate the pain. Plaintiff further alleged that the altered gait from his foot injury caused him to develop low back pain and neck pain that that required a fusion at two levels of his cervical spine. Defendants disputed the cause of the neck injury and the future treatment the experts recommended for CRPS. Plaintiff was a 48-year old laborer at the time of the accident. He claimed economic damages in the range of $3.8 to $4.5 million dollars, which represented his loss of earning capacity and future medical care. Plaintiff sued the manufacturer of the tractor, the dealer who sold the tractor to plaintiff’s employer and Mr. Fowler’s and Ms. Campbell’s client, a turf farmer who owned the tractor for two years before trading it in to the defendant dealer. The allegation against the FHMS client was that they removed a guard from the tractor and never replaced same before it was traded in to the dealer. As manufactured, the guard at issue is bolted onto the tractor, covers the solenoid starter, and contains a decal that specifically warns against hot-wiring the tractor. Had that guard been present, Plaintiff could not have started the tractor as he did on the day of the accident. 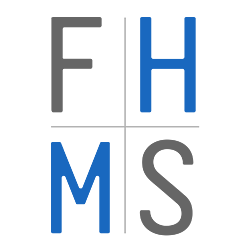 FHMS was able to get the product liability and warranty claims dismissed through a Motion for Summary Judgment, but remained in the case due to the negligence claim. Although our client testified that he could not remember if the tractor had the disputed guard when he traded it in to the dealer, he was adamant that his company had no reason to remove the guard and would never make such alterations to a tractor. FHMS argued that there was no evidence to support plaintiff’s claim that the guard had been removed by our client. Also, FHMS pointed to the testimony of the dealer, who admitted that it was their responsibility to inspect the tractor and replace any missing guards before re-selling the tractor.